Time to indulge in our exciting make-up and skincare routines! 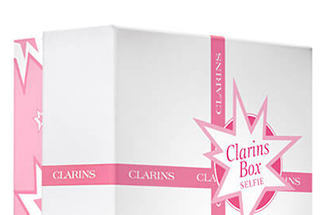 You’ll obsess over these new subscription-free Clarins beauty boxes! 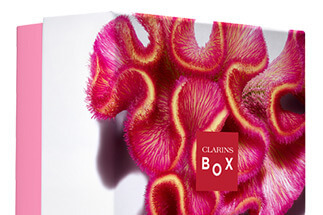 What’s inside this Clarins box? 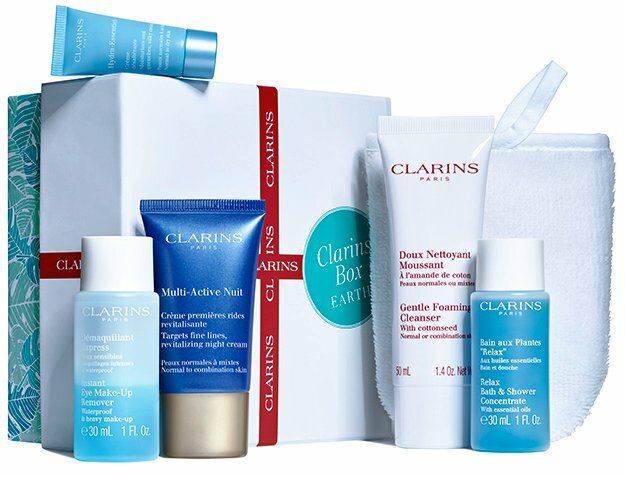 Order your box on Clarins.com or visit your participating Skin Spa Receive it at home, at work or at a friend's place Open it and get started on your new beauty routine! When temperatures drop outside, your skin is affected as it has different needs in the colder weather. We've put together a selection of effective winter skin care essentials that will hydrate your skin head-to-toe. Say yes to Responsible Beauty! 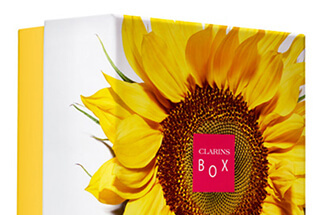 In your CLARINS EARTH BOX, you will find a selection of products combining Beauty and Nature. Enriched with cottonseed, it leaves the skin soft while the lightweight lather rinses away easily with water and protects against the drying effects of hard water. 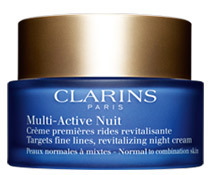 It soothes the delicate eye area, doesn’t sting the eyes and strengthens the lashes. Organic cornflower extract has calming and softening properties. 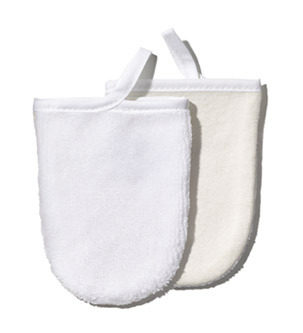 Ingenious, convenient and eco-designed, this mitt fits in perfectly with your make-up removing routine. Do something for the planet and your beauty! 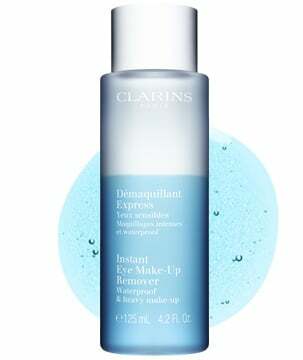 The perfect partner of dehydrated skin. 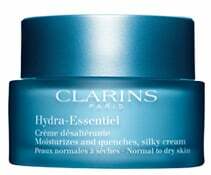 A silky feel and immediate well-being for intensely moisturised skin. The hard-working treatment created for you! 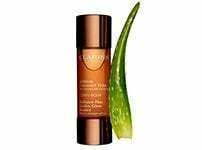 With encapsulated teasel extract, a powerful, revitalising antioxidant plant ingredient extracted through organic farming practices. It provides the body and mind with rest and relaxation after physical exercise. With petit grain, chamomile and basil essential oils, and St. John’s wort, linden and valerian extracts... enjoy a little nature break. 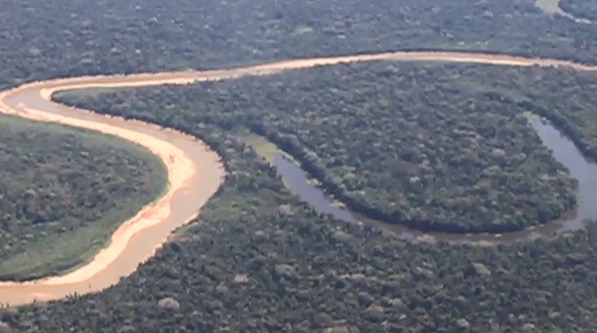 You’ve just helped plant trees in the Amazon rainforest. 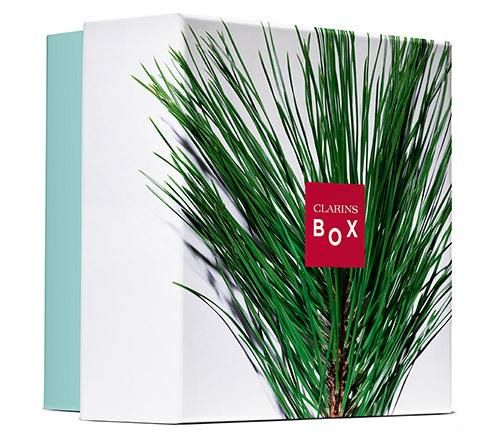 Since 2013, in partnership with PUR Projet, Clarins has helped plant 27,350 trees alongside different communities in the Brazilian Amazon, contributing to the preservation of their way of life in harmony with the rainforest. Clarins and PUR Projet are supporting various communities in the Amazon rainforest by planting trees in agroforestry projects, helping local people to preserve their way of life in harmony with the forest. 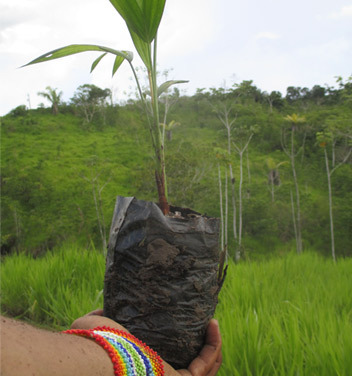 • 10,000 trees were planted in 2013 with the Kuntanawa community. • 3,350 trees were planted in 2016 with the Ashaninka community. 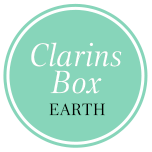 In 2017, Clarins is teaming up with the Surui community to continue its environmental commitment. 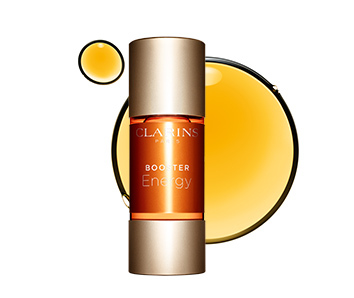 Give your skin an energy boost! Boost your life, boost your skin! 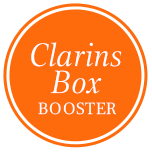 In your Booster Box, you will find a selection of products combining Beauty and Vitality. 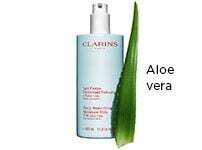 It removes make-up, gently cleanses, exfoliates, and eliminates impurities in a single step. 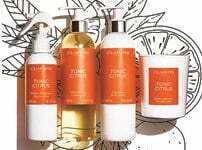 Orange extract helps soften, refresh, and rejuvenate the skin. What’s better than clean skin? Completely new skin! 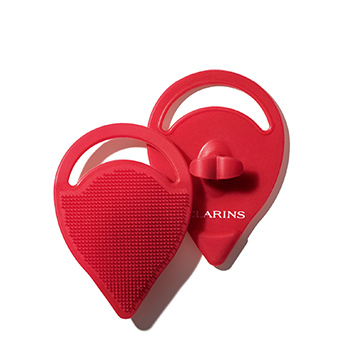 The perfect accessory for a healthy glow, soft skin, and a refined texture. 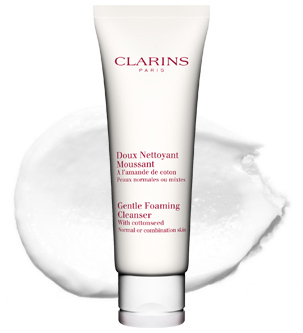 Use it with your One-Step Gentle Exfoliating Cleanser for the cleanest, most radiant skin you’ve ever seen! 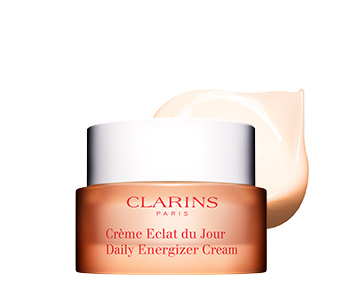 With ginseng extract, it tones and re-energises the skin and diminishes signs of fatigue: combine it with your Daily Energizer Cream and give your skin a real energy boost! 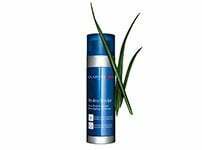 With ginkgo biloba extract, it provides the skin with balanced hydration. 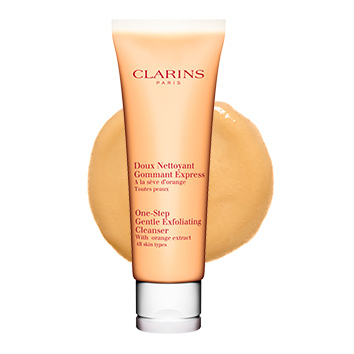 It reveals a natural healthy glow and a fresh, even, radiant complexion.